This month I'm guest designing for Clique Kits, who just released their very first kit: Debutante. It's such a joy to play with this kit, I love all the Amy Tangerine Plus One in it and the matching Clique exclusive printables, flair buttons and die cuts. 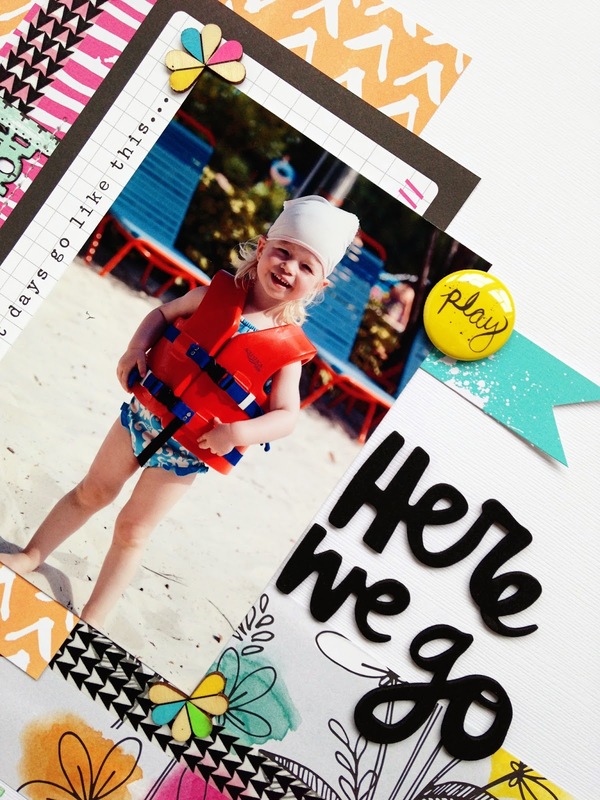 This first layout I've made with the Debutante kit is about my niece Phiene during our family vacation in Orlando Florida. At the time she was only 2,5 years old, but she was so excited to do the slides at Aquatica. She has no fear and was so proud of herself that she even did some big ones. All the bright colors in the picture were a perfect match with the Plus One papers. 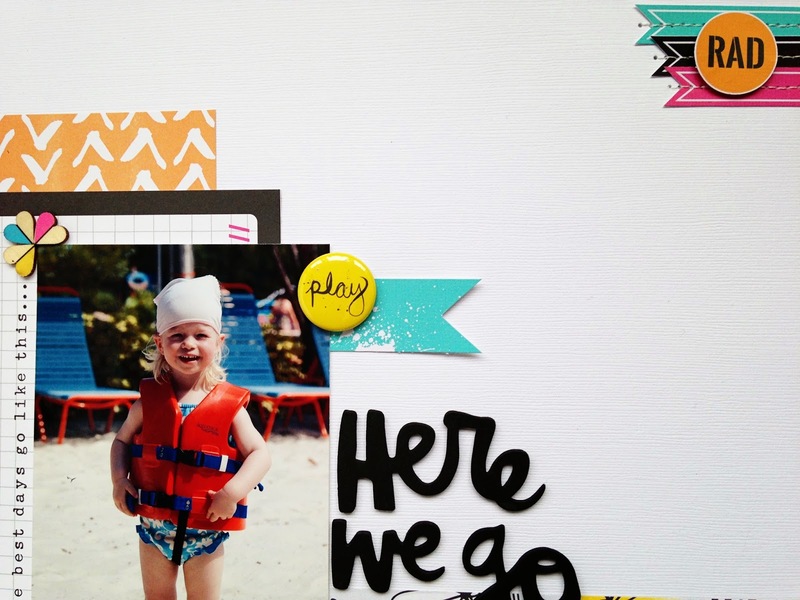 I used the Pinkfresh colorblock veneer hearts as photo corners. The Amy Tangerine Plus One alpha stickers are the only thing that didn't came with the kit, but I think they are a perfect addition to this layout. As you can see I'm in love with the exclusive printables that came with the Debutante kit. I've already made a couple of prints of them and I'm sure I will use them a lot! 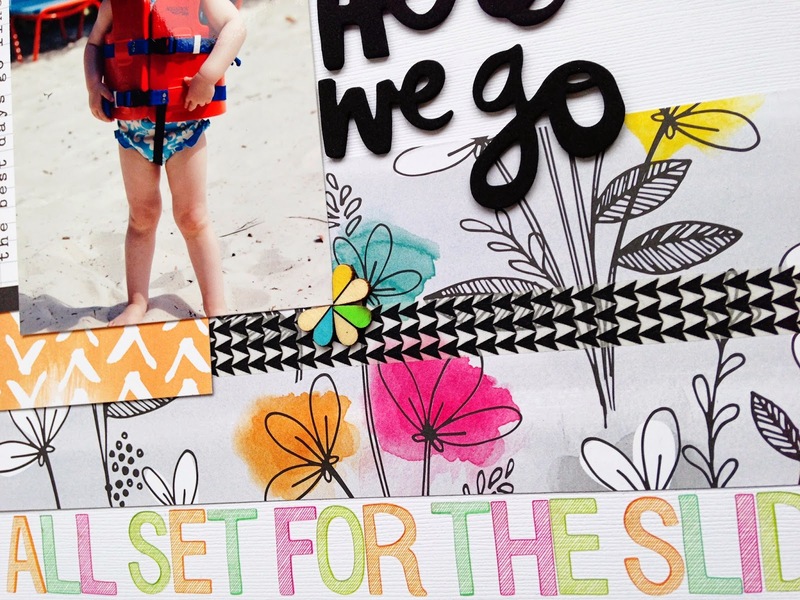 The Clique Kits come with some fun die cut files as well, like this snapshot frame. I hope you're as excited as I am about Clique Kits! If you want to become a subscriber, you can sign up overhere on their website. You can also find Clique Kits on Facebook, Instagram and Flickr, so be sure to follow them to not miss out on anything! Such a lovely layout ! Love the colors and the flowers paper. So gorgeous! LOVING the bright, happy colors and adorable photo!!!!! Beautiful page! Love those letter stickers. I used them for the first time yesterday and didn't realize they were transparent until I began peeling them from the backing sheet! Cool! 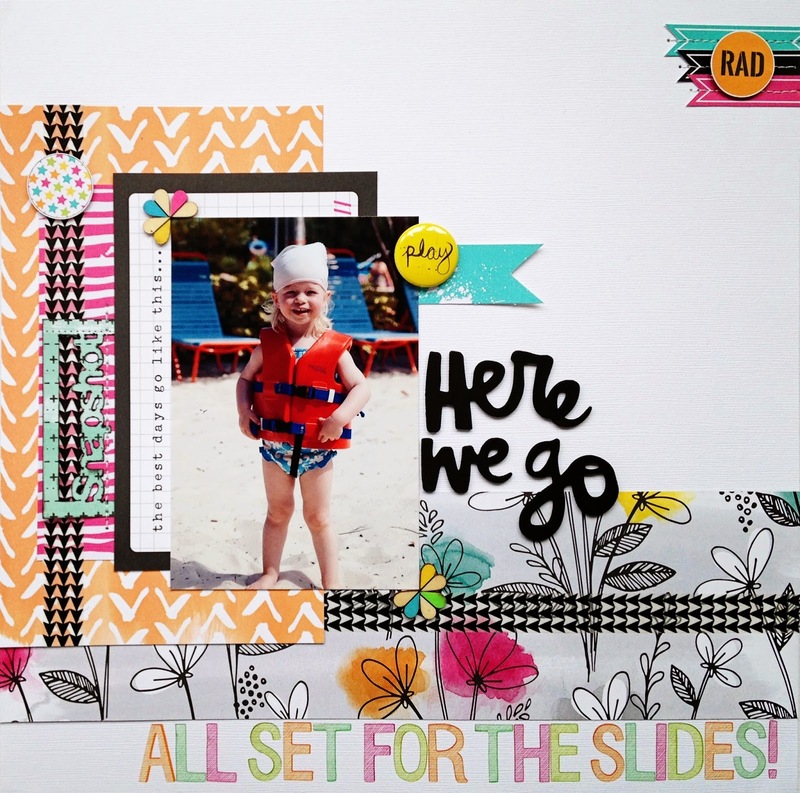 Such a great layout, Danielle! 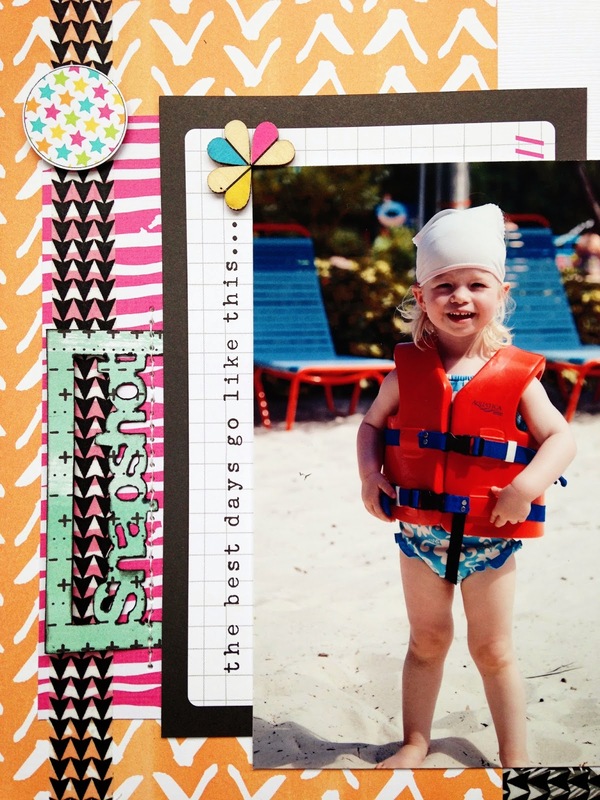 Love that bright orange paper and the way it plays off her life jacket! Great layout! Wonderful colors in this kit. Like the touch of black in some many collections this spring. Great page.